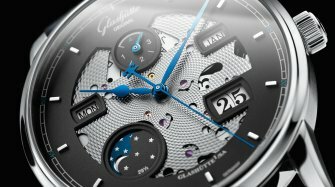 Taking up the long-standing tradition of skeletonized watches from Glashütte, the Saxon manufactory has created the Senator Manual Winding Skeletonized Edition. 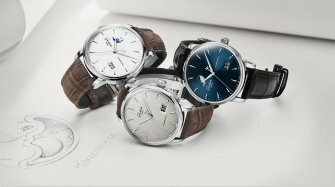 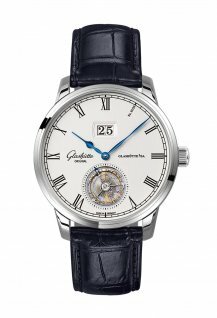 This timepiece from Glashütte Original features the firm’s own Calibre 49-18, complete with intricate mechanics, engravings and complex details. 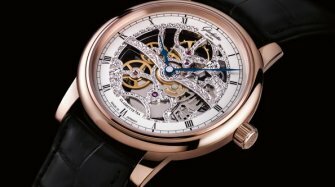 The two-hand model is presented in a polished red gold case, 42 mm in diameter, which frames the skeletonized manual winding movement. 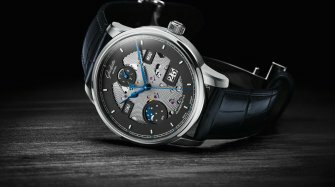 This extraordinary model features a 40 hour power reserve. 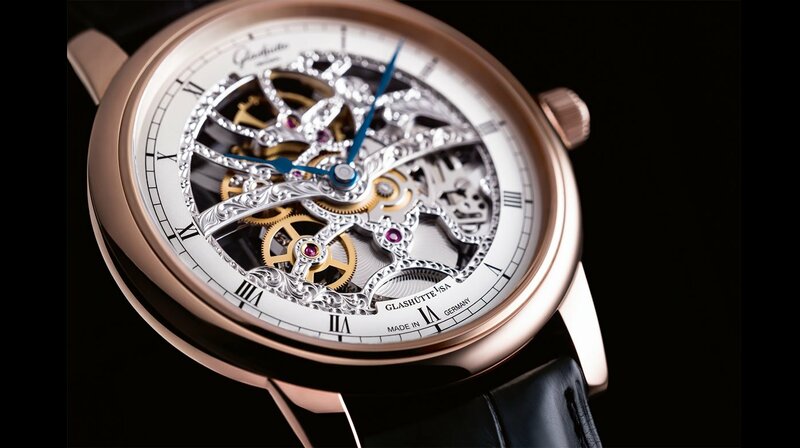 The galvanized silver, skeletonized dial is enhanced by a black railroad minute ring and Roman numerals. 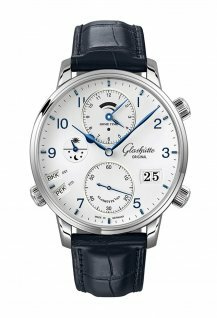 Blued hour and minute hands indicate the time of day. 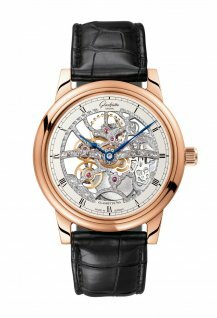 The Senator Manual Winding Skeletonized Edition is fitted with a matt black Louisiana alligator leather strap with foldover clasp in red gold, and is presented to its future owner in a polished, dark brown wooden case.